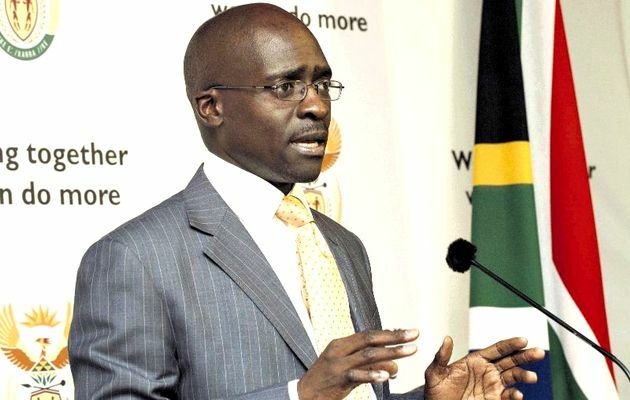 SOUTH Africa's Home Affairs Minister Malusi Gigaba on Thursday visited Beitbridge Border Post following alleged abuse of Zimbabwean travellers by South Africa immigration officials. His surprise visit unearthed serious irregularities committed by immigration officials, SABC reported. The visit comes as the neighbouring country's immigration officers are under fire over the ill treatment of Zimbabweans. Recently, an immigration officer and her three supervisors were suspended after a video of her scrolling her phone while serving Zimbabweans sparked outrage after it was widely circulated on social media platforms. Minister Gigaba told SABC that the Beitbridge Border Post has been on the Government's watch list as travellers had complained over poor service at the hands of immigration officers. "The Beitbridge Border Post has been under the spotlight because of long queues, corruption and inadequate staff and because of that picture that circulated on social media of the lady who was on social media while helping clients and therefore neglecting what she was supposed to do that is why we came here to improve our front line services," said Minister Gigaba. He said officials had also tampered with the biometric security system meaning some travellers could not have been accounted for while entering or exiting the neighbouring country. The Beitbridge Border Post is the busiest entry and exit point on the continent with nearly 19 000 people crossing daily during peak periods. Minister Gigaba said investigations on tampering with the biometric security system will be launched as it puts South Africa at a security risk. "It is a security risk because when we introduced the security biometric system we wanted to ensure that we have full knowledge, not only of the names and passport numbers of people who are getting into a country but even their biometric details be checked, to verify if they were ever found at the scene of a crime. There is a security threat to the country so we are going to launch an investigation into the matter so action can be taken against those people involved," he said. The Minister said officials were ready to attend to travellers during the busy Easter holiday period next week.